Tap into our live team of First Responders who work around the clock to provide instant, accurate, and informative answers to your customers' inquiries. 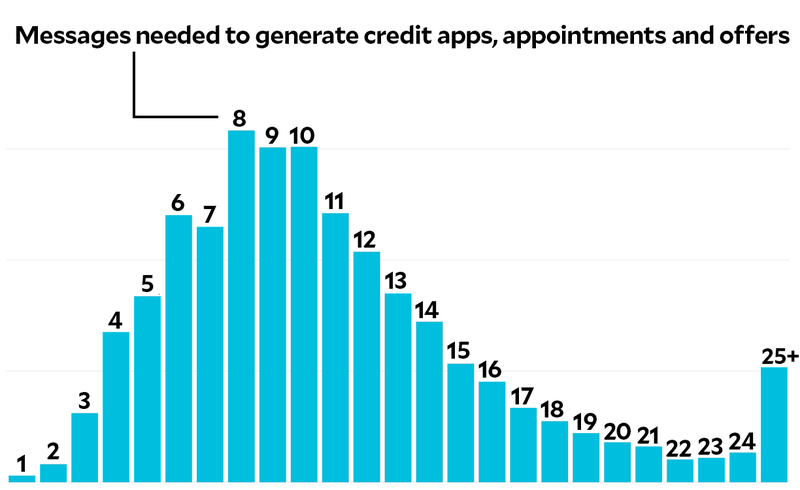 By engaging in friendly, casual conversation we'll turn your cold text, and Facebook messages, into hot credit applications, appointments, and offers. It doesn't make sense to sign up for more work! With so many messages coming in outside of business hours, you'd be working around the clock trying to respond to them all. And the last thing you want is to risk losing the sale by waiting to respond til morning. 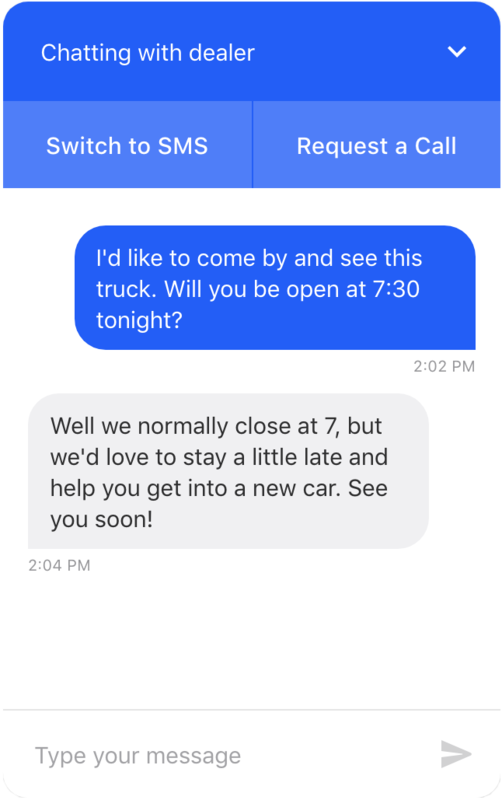 Picture this: It's 2am, and while you're sound asleep, a First Responder is answering your customer's messages so that you have appointments and credit apps waiting for you by the time you get to work. Your customers will be amazed at the convenience and attention they receive, and you can sit back and enjoy ready-to-buy customers coming through your doors! Utilizing our first responders is crucial to win business. Did you know that the most leads are received on the 8th message in a conversation? And on average 1 of every 10 conversations produces a lead. This means around 80 messages need to be sent to produce one of our quality leads. You’re busy, and that’s a lot of work! 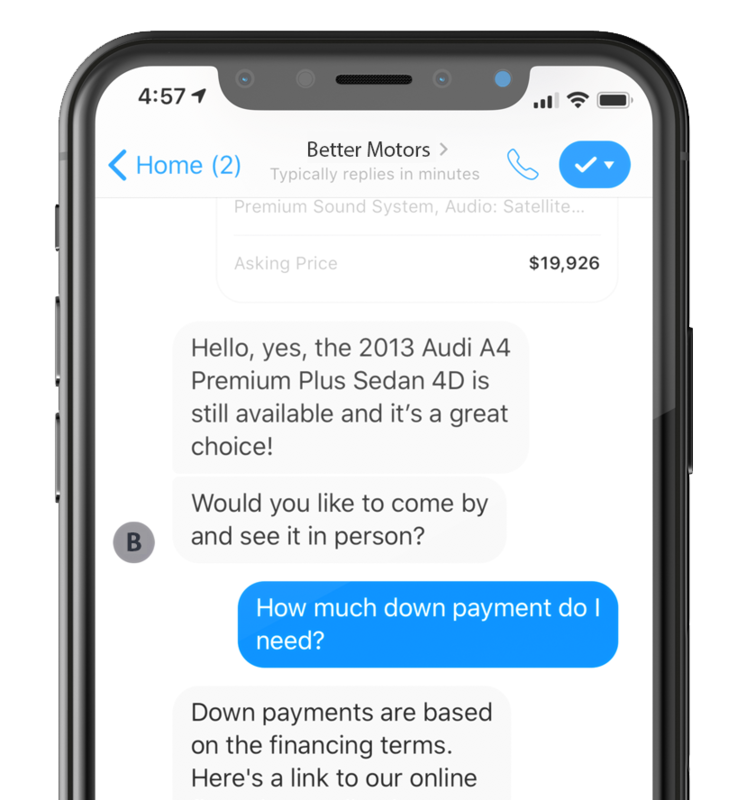 Keep in mind, customers using chat are looking for immediate responses, a few minutes could be a few minutes too late, and the sale is lost. Let us take care of it. It’s what we do best. 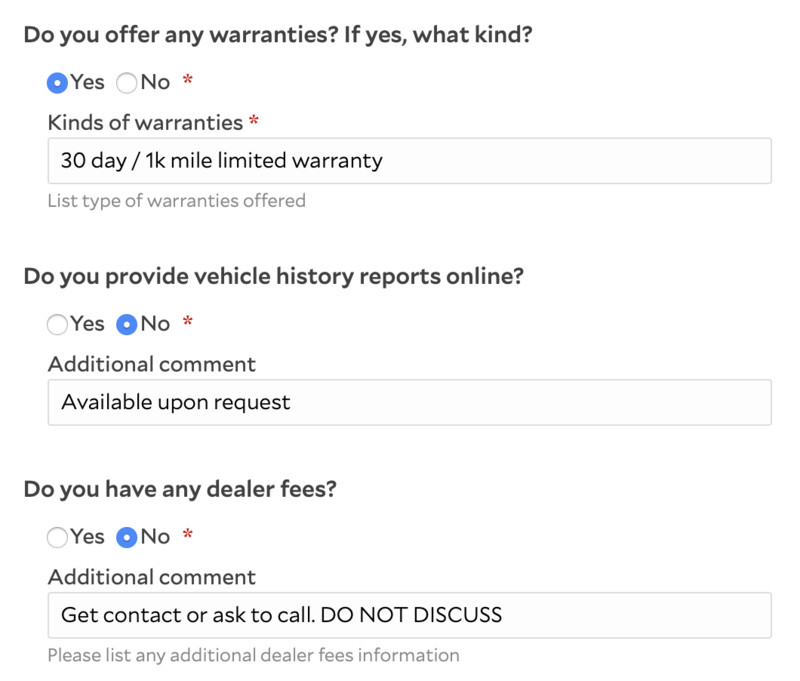 Our answers are immediate, accurate and informative not only because they don’t come from a bot but because we get the information straight from your dealership. Answer our questions about your financing, warranties, etc. one time, and we’ll respond to your customers accordingly. Our information is always specific and accurate because it comes from you. 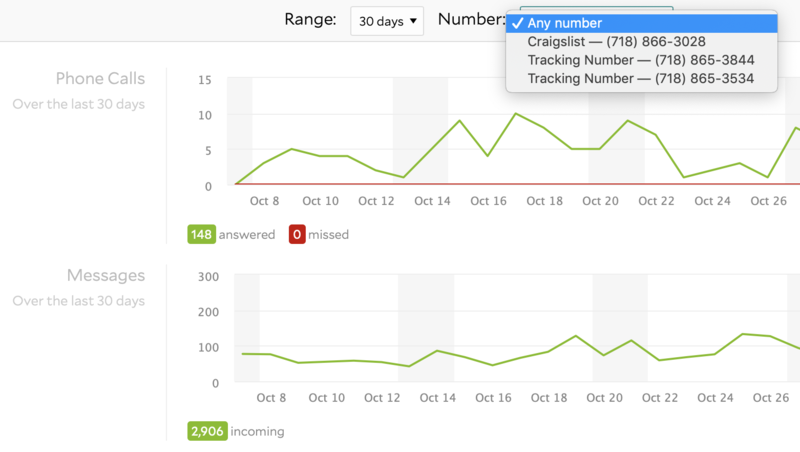 Answer detailed questions about your business once , so our team can respond to your customers with real information.